The information which you calculate from this Calculator is intended for use by you as a guide only, it is not an offer and has no legal effect on any contracts entered into by you ‘ the client’. This simulation and the resulting calculations do not constitute a loan application or offer. The figures and formulae used within this calculator may change at any time without notice. Should you apply for any Credit One product, we will make our own calculations and we will not necessarily take your calculations into account. All Interest rates are displayed ‘are guides ONLY’, repayments as a result of this simulation have no legal offering. Credit One accepts no responsibility for any losses arising from any use of or reliance upon any calculations or conclusions reached using the calculator. 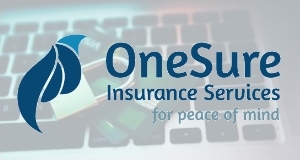 Our preferred insurance partner, OneSure Insurance Services, are an Australian-owned insurance broking group who can provide expert advice on insurance programs.